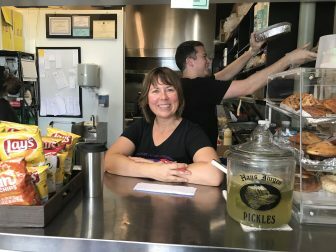 Club Sandwich has occupied its Cherry Street space for more than 30 years, and is a trusted mainstay for its tasty sandwiches, drinks and snack offerings. In 2008, Leo Gaspar took over management of the establishment with his wife Jennifer playing an active role in the business as well. 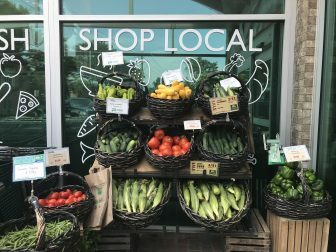 Asked about her favorite products and services offered by other local businesses, Jennifer Gaspar spotlighted Walter Stewart’s Market. 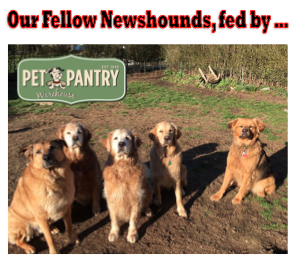 “We’re also a big fan of organic, they have really nice fresh produce,” she said. A true family business, Gaspar asked her young daughter Lua what businesses in town she liked best. No surprise, Lua named a toy store almost immediately. The display of Calico Critter toys at The Toy Chest. Credit: Catherine Gorey. 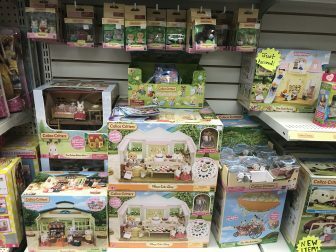 The Calico Critters are a highly popular product for kids from around three to eight years old, according to Nancy Erickson of the shop with locations in New Canaan and Ridgefield. “They’re very popular,” Erickson said. “You can do a house with little people, there are different themed sets, or you could just get the Critters,” she said. The customizable toy has lots of options, and “it starts with whatever the customer wants,” Erickson said as she pointed out the cake shop, dance class, and school themed sets that the shop carries.